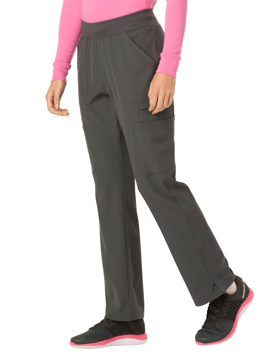 A contemporary fit, low rise, straight leg pant that features an all-around elastic waistband and back yoke make of rib knit, and signature triple-heart and dotted-heart heat transfers. 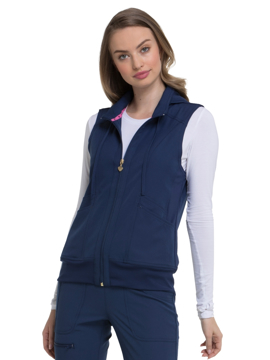 Also featured are front patch pockets, cargo pockets with half-welt pockets and heart grommet detail, an instrument loop and side vents. Regular inseam: 30½". Petite inseam: 28". Tall inseam: 33½". 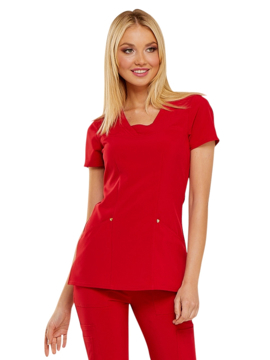 Hearts will go "pitter pat" when they see this stunning signature princess-seamed v-neck top with double-needle top-stitched rounded patch pockets, roomy side vents and our innovative headphone cord system. Center back length: 25½". 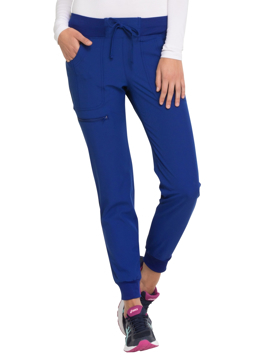 This low-rise, flare-leg pant has raised HeartSoul logo elastic all around waist, a functional drawstring and rounded patch pockets, including a small welt pocket with pink bar tacks. Also featured are an exterior pink bungee loop, a rounded back pocket for additional storage and side vents. Regular inseam: 30½". Petite inseam: 28". Tall inseam: 33½". 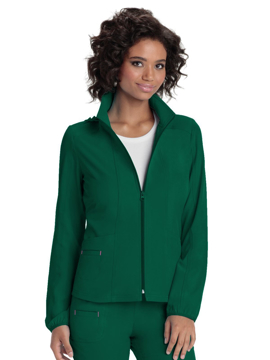 This contemporary fit, zip front warm-up jacket features rib-knit side panels, elbow panels and cuff (with thumb holes); front pockets; front and back princess seams; a shirttail hemline; and signature woven neck tape, pink bungee I.D. loop, triple-heart heat transfer and heart grommet detail. Center back length: 27". Contemporary fit. Welt pockets and coin pocket. Button front closure. Bungee loop. Elastic cuffs and hem binding. Heart-embossed buttons. Front seam ribbon detail. Center back length: 34". Contemporary fit. Patch and inside pockets. Zip front closure. Removable hoodie. Knit back panel. Bungee instrument loop. Heart heat transfers and rivets. Logo zipper pull. Center back length: 25". Contemporary fit. Half-welt pockets. Hidden interior pocket. Heart grommet embellished shoulder panels. Front and back darts. Signature back neck trim. Side vents. Center back length: 26". Contemporary fit. Two patch pockets. Cellphone pocket. Instrument loop. Heart rivets and charm. Decorative heat transfer. Side vents. Center back length: 26". Contemporary fit. Two patch pockets. Heart rivets and charm. Gold pull invisible zipper. Front vents. Peplum styling. Center back length: 24".